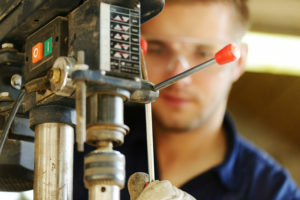 Manufacturers today have more and more options when it comes to producing tools, parts and finished goods. Various machining industry trends have taken off in the last few years, with 3D printing standing out the most. Now that it’s fused with conventional CNC machining, several companies witness better efficiency and greater profitability. Most 3D printers work with different plastic mediums. Useful as it may be in producing items and basic parts, hardened and composite plastics experience limited machine design and development. The latest technological breakthroughs of 3D printers working with aluminum and metal may help to solve this predicament soon. Hybrid printing is very promising. With the best of both traditional CNC machining and 3D printing, manufacturers have better control over projects and can provide greater flexibility. This makes the process efficient and fast. . Although the automotive industry is using metal additive manufacturing for several uses, experts are bringing in alternative materials into the picture. A next-gen polymer, PEEK, is composed of a highly specialized composite which can replace metal in a lot of applications. It’s also 3D printer friendly. The dramatic changes brought about by 3D printing technology has impacted machine tools and plastic injection molding. In contrast to conventional techniques, material usage has significantly decreased as well. This has resulted in more versatile and faster production of parts and items. CNC machining has become a reliable method for producing both small and large products. This makes it possible for many automotive processes to create prototypes and finished fabricated parts. Increased productivity is a huge factor, and it benefits companies like N&S Flame Spray that use process automation.